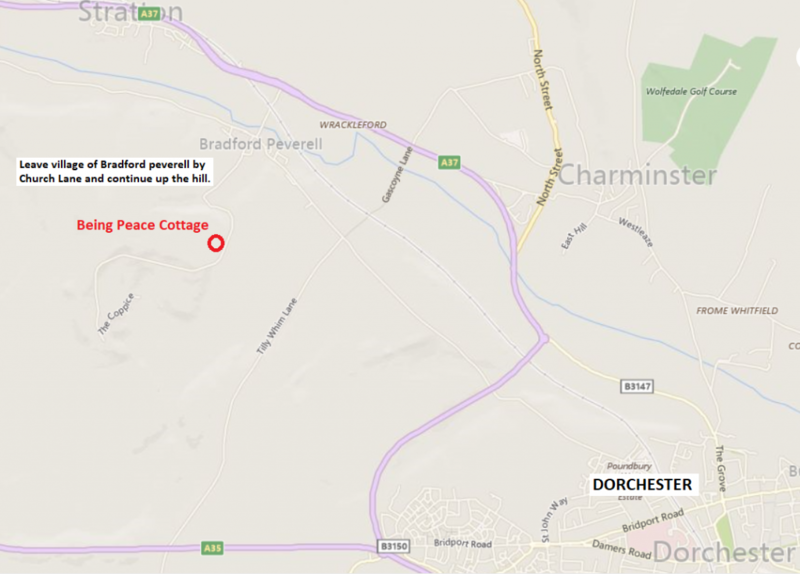 Being Peace Cottage in Bradford Peverell, nr Dorchester, is owned by the Community of Interbeing UK and is available for individual and Sangha retreats. Zen Master Thich Nhat Hanh spoke of his vision for a practice centre in the U.K. He gave us a name for the centre and a calligraphy. Inspired by the vision the UK Sangha began fund-raising and the cottage was acquired by the Community on 11th September 2008. A blessing ceremony for the cottage was conducted by Michael (formerly Brother Michael, Phap Son) and Phap An in 2009. UK Dharma teachers, members of the Order of Interbeing, monastics from Plum Village, from Germany and from the USA have facilitated many retreats at Being Peace Cottage and New Barn, resulting in the tangible energy of mindfulness than can be sensed on arrival at this small but beautiful refuge. Here is a spiritual home where we can practice together to nourish our joy and happiness, and offer healing and transformation to many people. Being Peace Cottage is simply and comfortably furnished. It sleeps up to six in three bedrooms: one single, one twin, and one treble. There is an upstairs bathroom with a bath and shower, and also a downstairs WC. The kitchen is well equipped, with a fridge-freezer and a washing machine. (Please ask if you would like to use other rooms and facilities at the neighbouring New Barn Field Centre.) 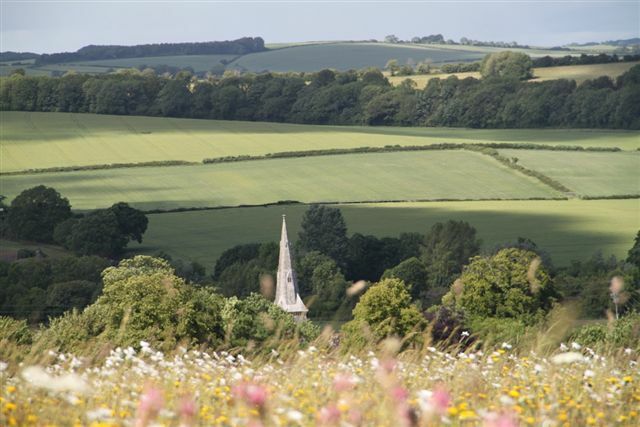 Surrounding the Cottage there is beautiful rolling countryside and there are many lovely walks in the local fields and woods. Please note that the track to the Cottage is quite rough and unsuitable for delicate vehicles! The cost of staying at Being Peace Cottage is on a sliding scale from £5 to £20 per person per night. Children aged 5 to 16 years – half price. Under fives – no charge. We ask people to pay an amount that is in keeping with their circumstances. We hope that the sliding scale will make the Cottage available to as many in the UK Sangha as possible. Local sanghas and other groups can also book the Cottage for a day (£25) or for an evening (£10). Please note that the person booking the Cottage has to be a paid-up member of the COI. If you are not already a member you can join here.